Judges award different types of alimony, or spousal maintenance, in some divorces when one spouse has been financially dependent upon the other. It is not meant as a punishment to the paying spouse nor a crutch for the recipient spouse, but rather a means to help support the lower-earning spouse until she can better provide for herself. Note that Washington laws do not guarantee alimony in a divorce or provide a specific formula for calculating the amount or duration of support. Courts decide on a case-by-case basis. What Types of Alimony Might Courts Award in Washington State? Courts may award several types of alimony in a divorce. Temporary – Upon request of the financially dependent spouse, courts may award temporary spousal support, a provisional monthly stipend that helps the recipient spouse during separation, before the divorce is final. Short-term/rehabilitative – Courts may order one spouse to pay the other short-term alimony for a set duration of time while she “rehabilitates,” e.g., goes to college to get a degree, or stays at home with the children until they reach school age. A judge can modify rehabilitative alimony if there is a substantial change in circumstances. Long-term or permanent – Long-term or permanent alimony means to give long-term or permanent support to a spouse who cannot meet her own needs. Courts rarely award permanent alimony anymore, and many states do not even recognize it. 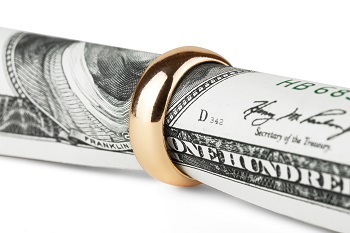 What Factors Do Courts Consider When Determining Alimony? How Do I Ensure the Courts Handle My Request for Alimony Fairly During My Divorce? We highly recommend having an alimony attorney assist you with any divorce matters. A lawyer can ensure the all the facts of the case are clear so that any spousal support awards are fair and reasonable.